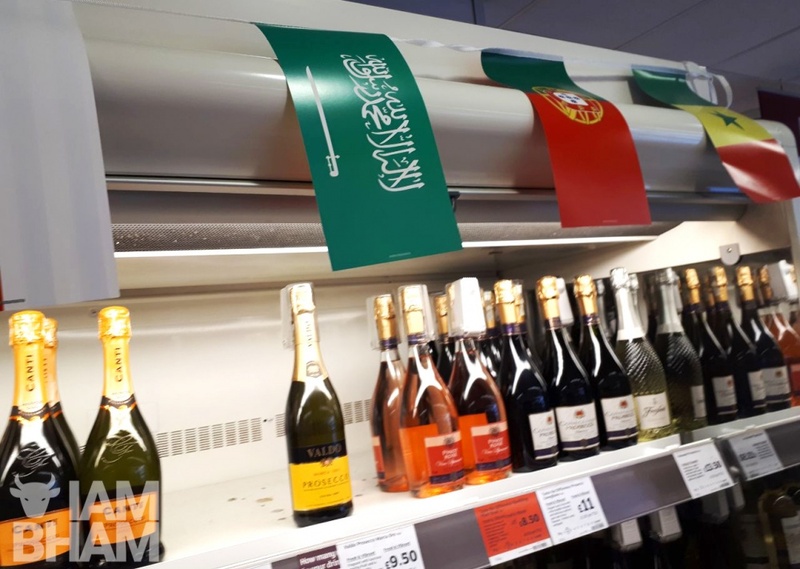 High street supermarket Sainsbury’s has dropped a bit of a Ramadan blunder after placing Islamic flags on alcohol displays in a bid promote the upcoming World Cup. 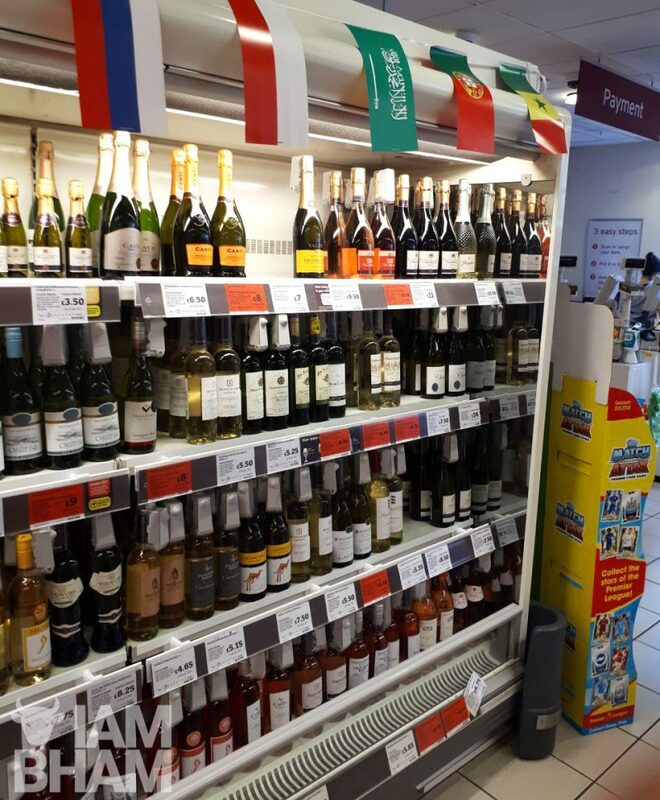 A Birmingham branch of the supermarket has been left red-faced following the faux pas, which has flags bearing Islamic scripture placed specifically above wines and beers during the Islamic holy month. 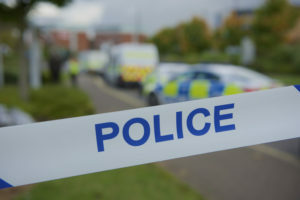 While the flags don’t appear to be displayed elsewhere in the Navigation Street store, they have been splashed over a display of booze that football fans may wish to break out during the global sporting highlight. 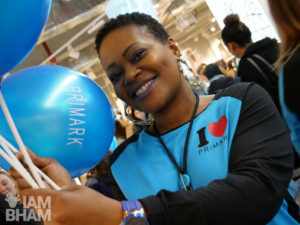 The only problem is, of all the flags they could have chosen, the store ended up using both an Iranian and Saudi Arabian flag, the latter of which is bright green and bears the Islamic declaration of faith – or Shahadah – in bold white Arabic letters. 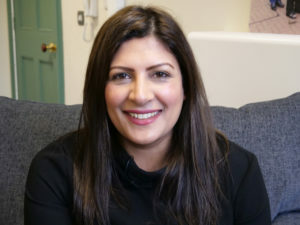 The consumption of alcohol is not only banned in both countries on religious grounds, but the declaration of faith is one of the most important pillars of Islam, the key article of faith that determines a Muslim’s core beliefs. 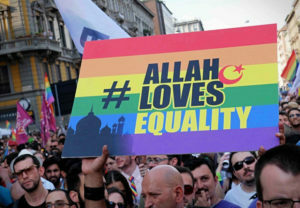 Its written form is considered deeply sacred by Muslims and shouldn’t be used on trivial or deliberately offensive items, especially anything that might be explicitly prohibited by the faith. Although this has created problems in the past, as the Shahadah appears so prominently on the Saudi Arabian flag, which in turn is a participating nation in the World Cup. 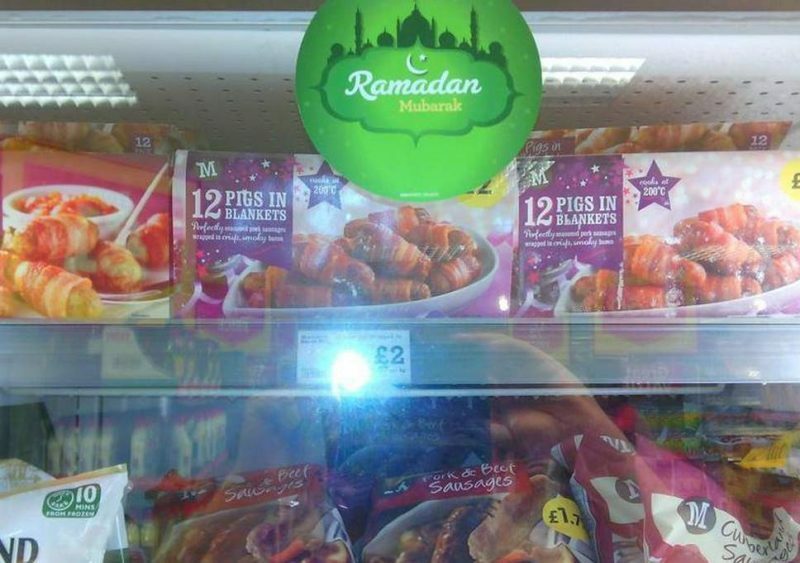 In recent years, similar gaffes by British supermarkets have led to bacon flavour Pringles being highlighted in a Tesco Ramadan display and pork products being included in a similar Ramadan display at Morrisons. Ramadan is a 30-day period of spiritual reflection and abstinence during which most Muslims observe fasting during daylight hours. The religious month concludes with the celebration of Eid ul-Fitr, expected to fall on either Friday 15 or Saturday 16 June this year, depending on the sighting of the new moon. The 2018 FIFA World Cup will be the 21st FIFA World Cup. The international football tournament contested by the men’s national teams takes place every four years. It is controversially scheduled to take place in Russia from 14 June to 15 July 2018. There has, as yet, been no comment on this incident by Sainsbury’s.